Virtualization technology could improve the performance of your computer and allow NOX APP Player to run more smoothly and faster. 1. Does your computer supports Virtualization (aka. VT-x, Virtual Technology)? To check if your computer supports VT, you could refer to this useful too called: LeoMoon CPU-V. It does not only detect if your CPU supports Hardware Virtualization, but also Detect if Hardware Virtualization is Enabled in BIOS. If your check result shows a green check under VT-x Supported, it means your computer supports virtualization. If it’s a red cross, then your computer does not support VT, but you could still install Nox as long as you meet the installation requirements. If your check result shows a green check under VT-x Enabled, then it means VT is already enabled in your BIOS. If it’s a red cross, then follow the below steps to enable it. 2.Find out your BIOS type: Press Win+R to open the “Run” box, input “Dxdiag” and click “OK”. Then you will see your BIOS information as shown in the below screenshot. 3. Then google for this particular BIOS what the steps are to enable VT. Usually enter BIOS requires pressing a designated key repeatedly when your computer is booting up. The designated key could be any of the function key or ESC key depends on your computer’s brand. Once you enter the BIOS mode, look for Virtualization, VT-x, Intel Virtual Technology or anything that says “Virtual” and enable it. Once done, turn off your computer completely then turn it back on. Now Virtualization is enabled and the performance of Nox App Player is even better. Note 1: If you are running Windows 8 or Windows 10, there might be conflicts between VT and Microsoft Hyper-V technology. Please turn Hyper-V off following these steps: go to Control Panel->Programs and Features->Turn Windows features on or off->un-tick the box before Hyper-V.
Hello,thank you for NOX player it’s-great! 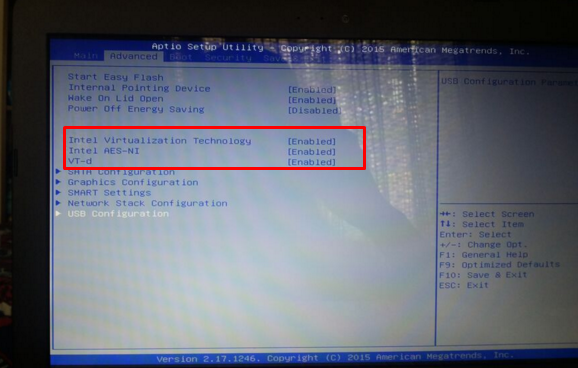 My notebook is-Acer Aspire S7-391, and the problem is that Acer hides – VT-options, in Bios,there is no-Virtualization, VT-x, Intel Virtual Technology or anything that says “Virtual (not only in my case,many possessors of Acer- are very angry with it),so there is no way to enable it in Bios. LeoMoon CPU-V, shows that my CPU supports Hardware Virtualization and Hardware Virtualization is Enabled! If you have any solution,or can advise me something-help me. Hi, Nicolas, since LeoMoon showed that VT is enabled. Does Nox recognize it as well? Is there an exclamation mark on the upper left corner of Nox window reminding you to enable VT? A mi si, ami si me aparece ese signo de exclamación en la parte superior izquierda, y no puedo entrar correctamente desde hoy. AYUDA! Hi, Emerson, What’s the test result of LeoMoon? Do you mean that VT is on in the past but today Nox suddenly couldn’t recognize it? Hi! I recently downloaded Nox App player but it seems to be lagging for me. I have tried using the LeoMoon tool but it tells me my laptop doesnt support VT. In Default BIOS it showed i can enable VT but it doesnt still run for Nox. My Laptop is Hewlett-Packard’s Compaq notebook. It’s OK if your computer does not support VT. Nox could run as well, but maybe just not as fast as when VT is enabled. LeoMoon show that Hardware Virtualization is supported but is Disabled. I went inside BIOS and turn it to Enable but when I run LeoMoon again it still show Disabled. I’m using Windows 7 64bit. Hi, Thang, is it possible that you didn’t save your changes properly when exiting BIOS? Usually after you enable VT, you will have to press a designated key, i.e. F10 to save the change. If you have saved it properly but LeoMoon still don’t recognize it, please check again with your BIOS manufacture or PC manufacture to see where went wrong. Another tip is to google “your computer brand + model number + VT” and you will find many helpful articles. how if VT no supported.. is there any other way to make nox work better ? Hi, Felix, if your computer does not support VT, you could try the rest methods in this post: . You could also allocate more CPU and RAM resource to Nox in Nox system settings to make it run more smoothly.